Union Targets Three Competitions in 2019 — Union Dubuque F.C. This year will be a busy one for Union Dubuque F.C. United Premier Soccer League (UPSL) - An original member of the UPSL’s Midwest Conference, Union Dubuque F.C. will return to the league for a second season. The league has shifted its schedule format ever so slightly, meaning that this competition will begin in April, with regular season play culminating in early July. If the club qualifies for the playoffs, it’s possible that games will continue until the end of July. More information on division opponents and the league schedule will be released soon. US National Amateur Cup - This cup has been contested every year since 1924, making it the second-oldest soccer competition in the country. It takes teams from across the nation and matches them up head-to-head in a single-elimination tournament to crown an amateur national champion. Teams participating come from leagues of all amateur levels. This will be Union’s first year participating in the National Amateur Cup. Early round games are likely to begin in April, with the final four teams meeting to compete for the cup on the first weekend in August. US Open Cup Local Qualifying Rounds - The Lamar Hunt U.S. Open Cup is the oldest continuous athletic competition in the USA and the third oldest of its kind in the world. 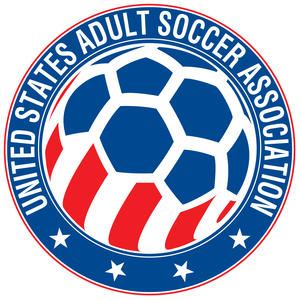 Every year, amateur teams are able to enter the qualifying rounds for the following year’s tournament, where teams from all levels of the US Soccer system (including professional Major League Soccer and USL teams) compete for the ultimate prize. With the recent increase in the number of professional teams in the country, the USOC has become more difficult to qualify for. However, participating in the tournament has been an objective of Union Dubuque F.C. since its founding, with the ultimate goal of playing against teams from Major League Soccer right here in Dubuque, Iowa. The qualifying rounds begin in mid-September and continue through the Fall until the tournament proper the following year. Along with these three competitions, Union Dubuque F.C. will still contest “friendly” exhibition matches with clubs from around the area that share our values and commitment to growing the game of soccer at this level. We’re excited to be welcoming Minneapolis City SC, Med City FC (Rochester, MN), and several others to our home this year in a celebration of open-division soccer. Stay tuned for a full schedule of matches in all competitions to be released in the coming months!